With less than 2 weeks to go until the opening reception for “Wildness”, my ceramic art show at West Main Artists in Spartanburg I’ve wrapped up the final touches on over a dozen new works of art. Next is preparing them for display, with some it’s easier said than done. The two larger works each have 20 to 30 individual pieces that will need to be installed. I hope a little creativity is going to do the trick. I was thrilled to see an article in Carolina Arts about the show, check it out below. 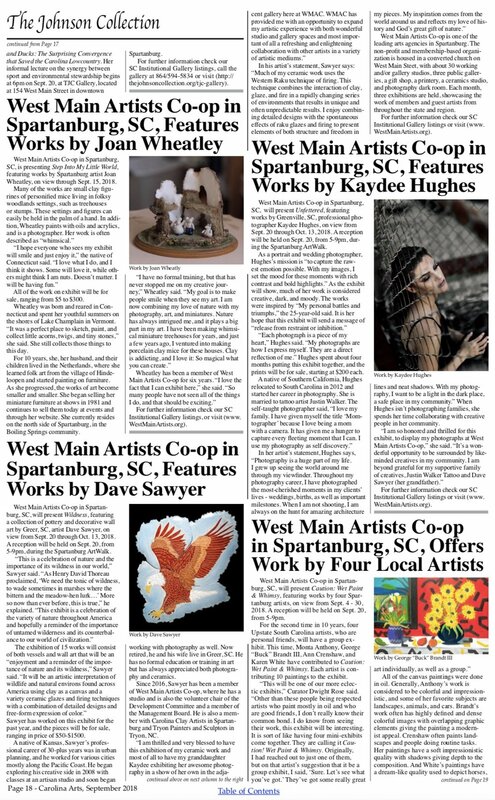 And be sure to also read the article about my granddaughter Kaydee's photography show in the gallery next to my show! Here’s a preview peak at one of the smaller pieces that will be in the show.